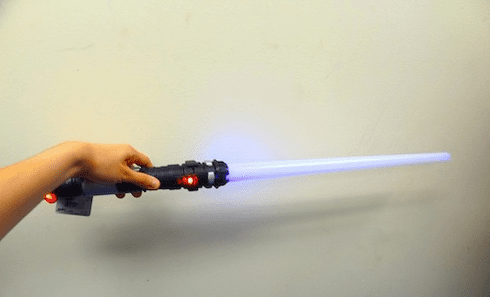 This space saber lights up, vibrates and makes realistic clashing and sheathing sounds! Comes in silver or black. Each sold separately. Uses 3 AA batteries (included) Measures 28" long.